Movements of water creates emergent properties. lıne drawings showing actual condition of water, which later turned into surfaces are the basis of the project. 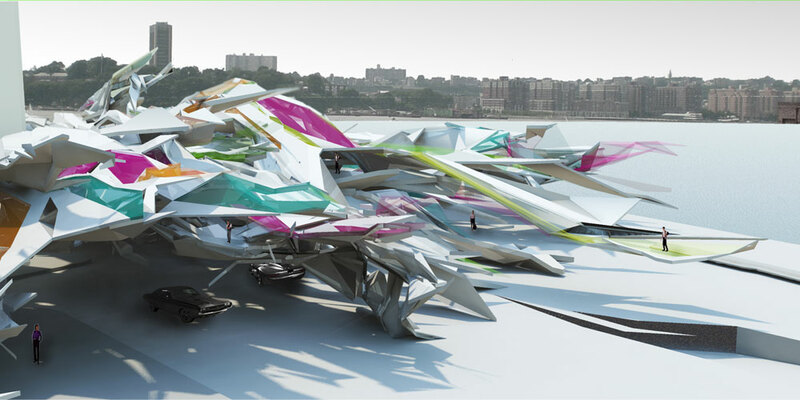 a cultural institution that lays between Hudson River and the high line is formed by the animated scenes of surfaces. these surfaces in different scales reproduces Andy Warhol’s Silver Factory with the properties of today’s dynamics.